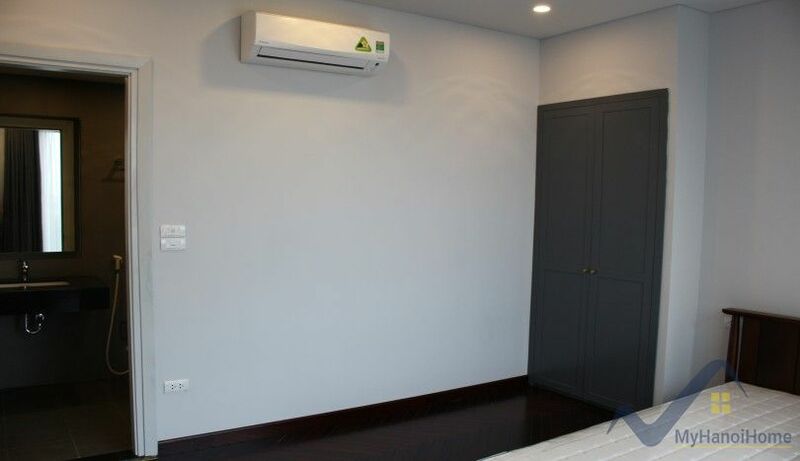 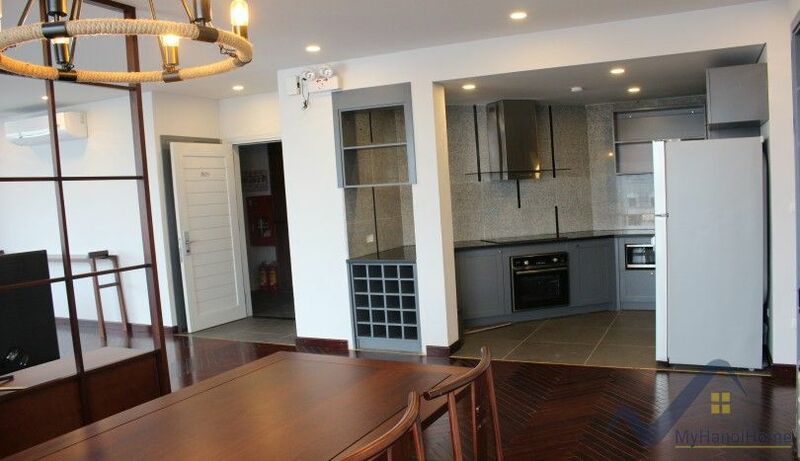 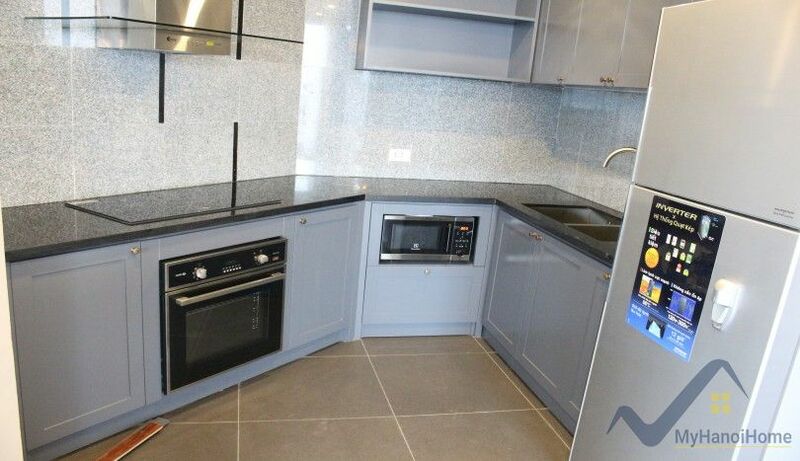 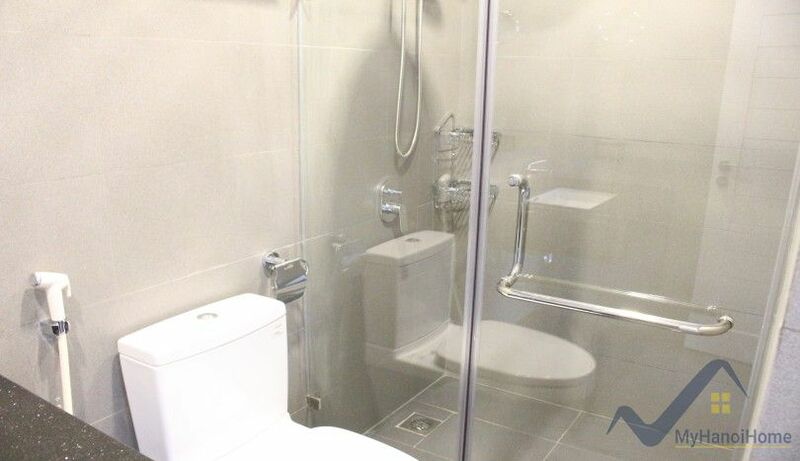 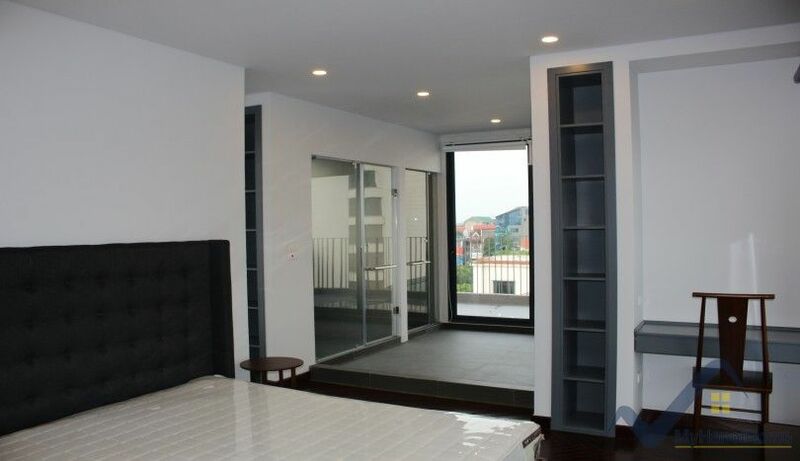 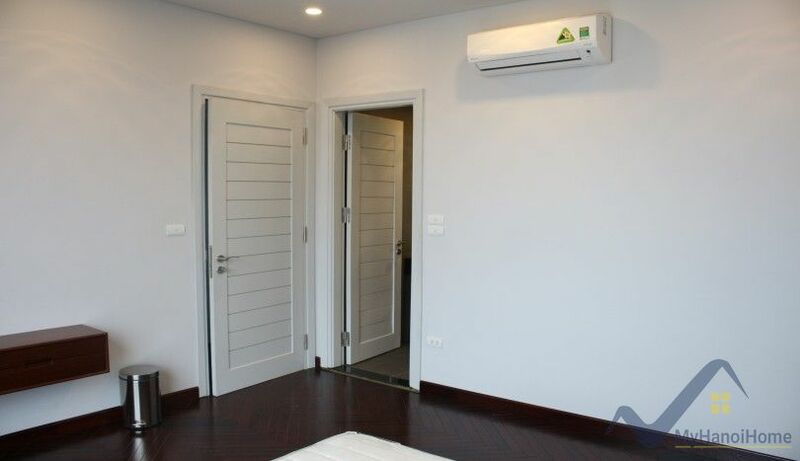 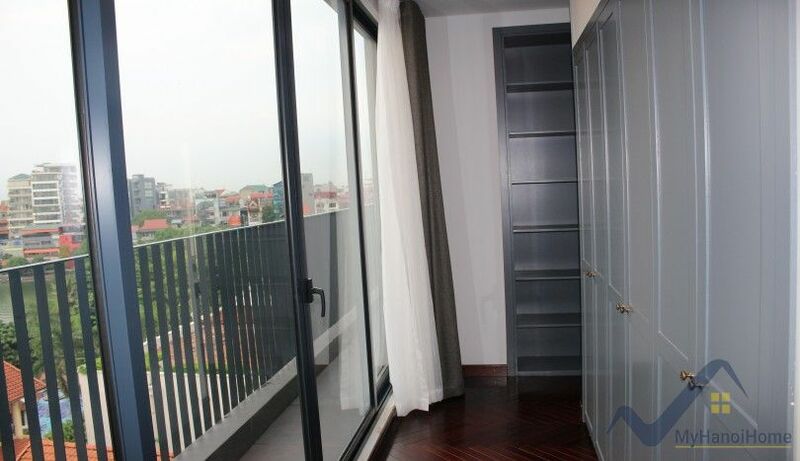 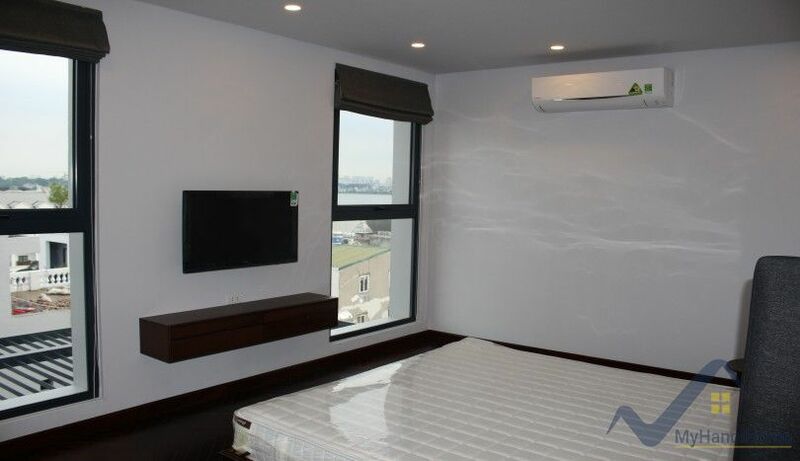 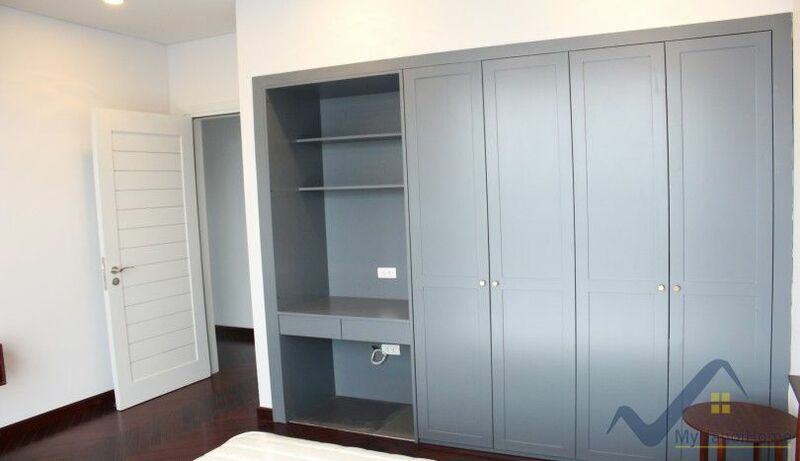 This is furnished three apartment for rent in Nghi Tam village, Tay Ho, Hanoi close to Sheraton hotel and Intercontinental hotel. 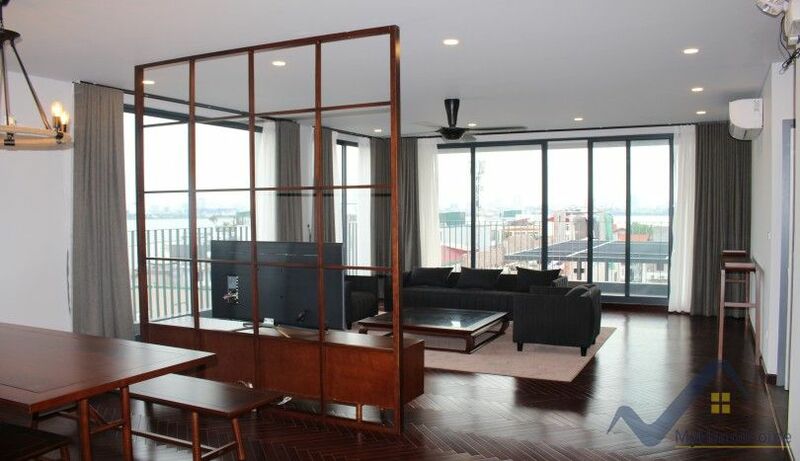 The Tay Ho apartment has 235 sq m of living space of whole floor in the apartment building. 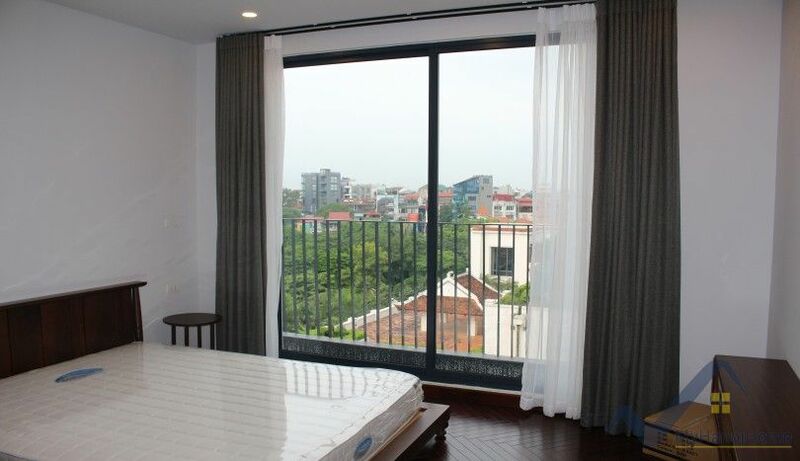 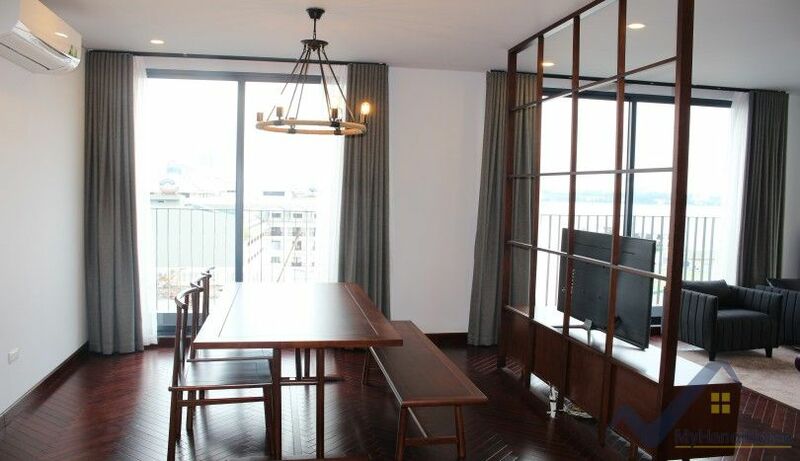 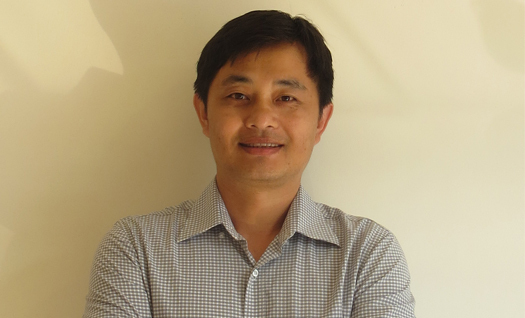 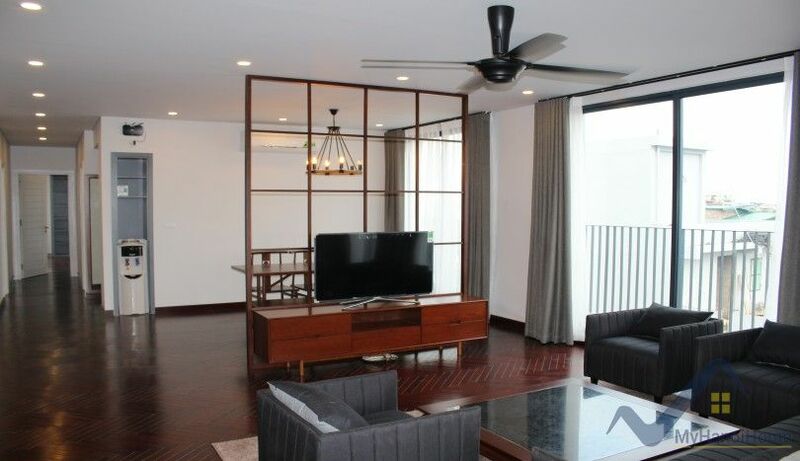 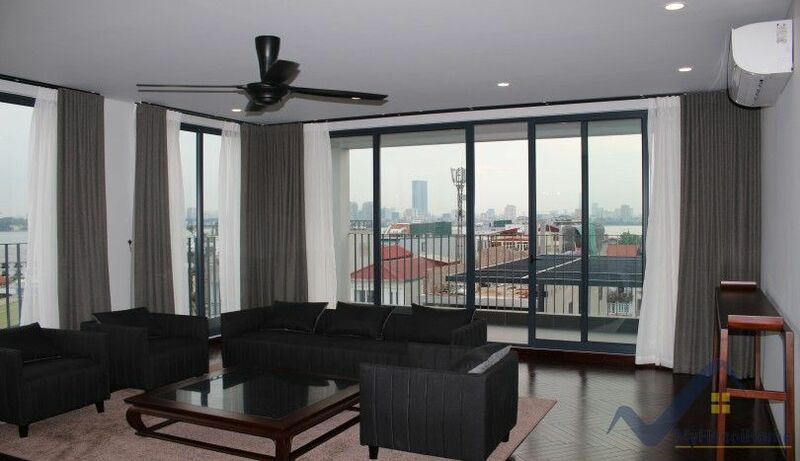 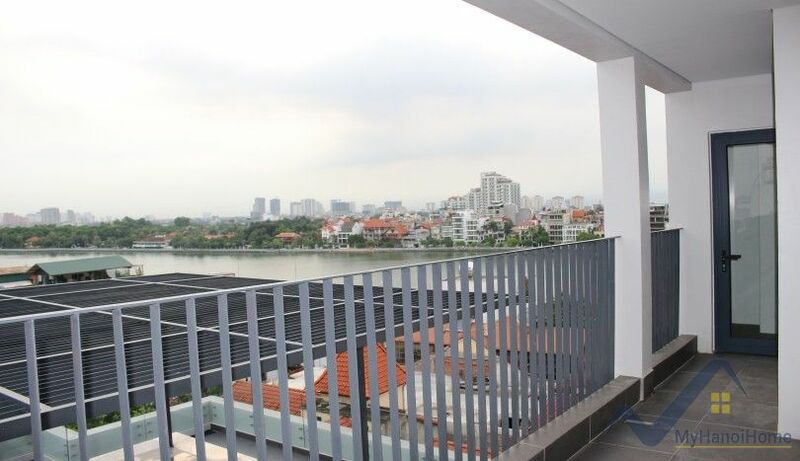 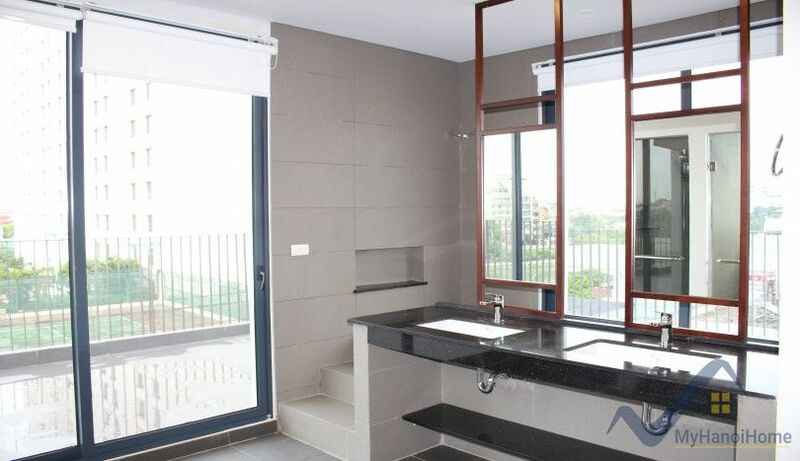 The Nghi Tam apartment comes with a open plan living room combined with dining area, a modern fitted kitchen, 03 bedrooms and 03 bathrooms, balconies surrounding the apartment with Westlake view. 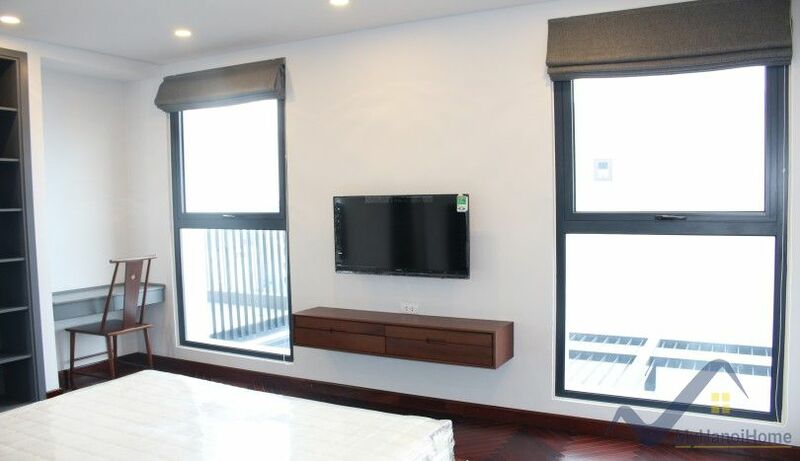 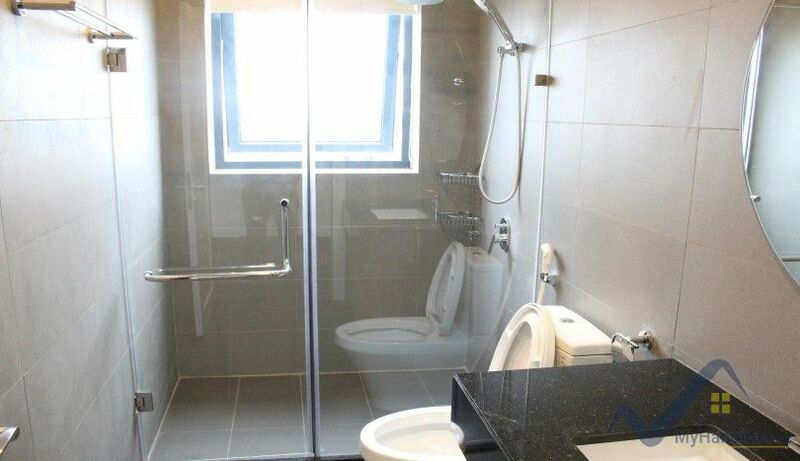 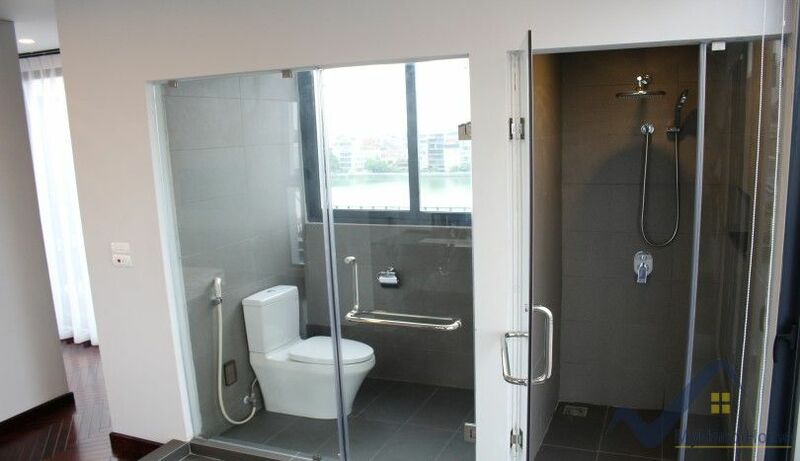 The whole apartment is light and airy, modern furnishing. 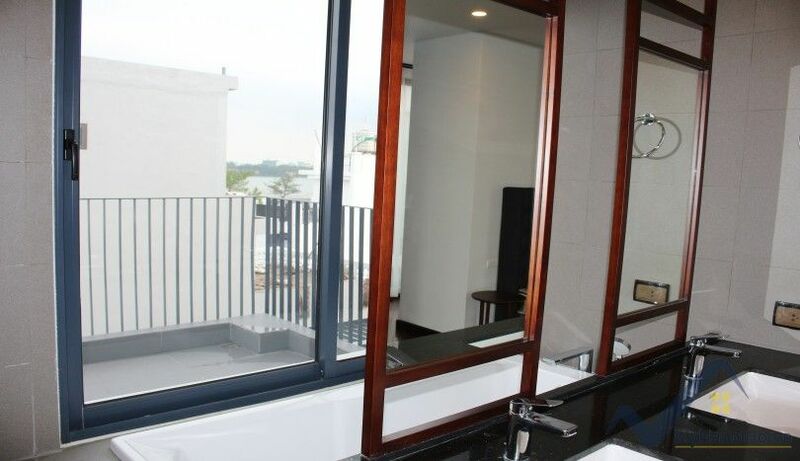 The master bedroom offers shower and bathtub room with a large terrace with lake view. 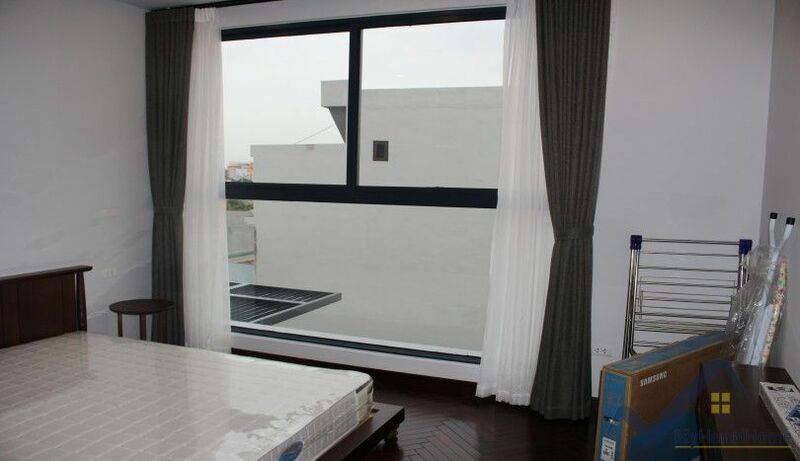 The monthly rent is included: internet wifi, TV cable, city water consumption and housekeeping services (03 times a week).